Without a doubt the film on this list that the fewest people have seen. 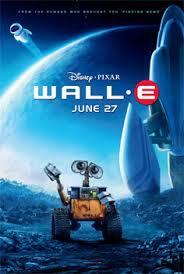 But I couldn’t help but put this Academy Award nominated stop-motion film on my list. 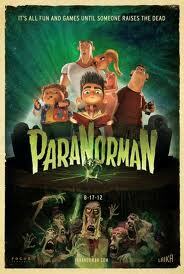 Incredible animation, fun characters, and a plot that molds classic horror films with a great message about being unique even if everyone else thinks you’re weird. 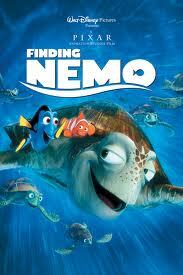 If you haven’t seen it, I suggest you check it out. Favorite Moment: When one of the townspeople is approached by a zombie and must make a tough decision between running away and waiting for his potato chips to drop from the vending machine. One of the last great hand drawn films. 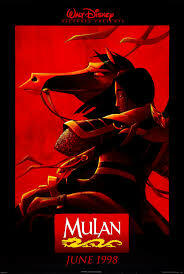 It’s got good action, pretty good humor, and one of the best female leads in Disney movie history. (Kudos to Eddie Murphy for being the comic relief in yet another film on this list). Favorite Moment: I know pretty much all of the lyrics to “I’ll Make a Man Out of You”… judge away. 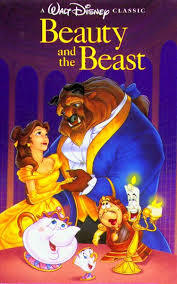 Disney’s somewhat failed attempt to revitalize hand drawn animated films. This movie, which was a bit of a box office disappointment, is HIGHLY underrated. Is it a bit too short? Yes. Does the love story feel rushed? Yes. But few animated films in history have more vibrant characters than this one does (Charlotte La Bouff, Louis, Mama Odie, and Ray). 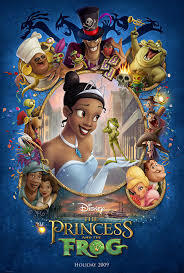 Extra points for being the first animated movie with an African-American lead. Favorite Moment: When Ray finally gets to be with Evangeline. 2008 was quite the year it seems (Inside joke). 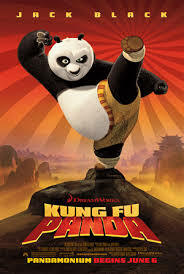 One of the most fun movies I’ve seen which couples a great voice cast with a good story and some Grade-A kung fu scenes. Favorite Moment: Tai Lung’s escape from prison. Despite what some may think, this movie was released in theaters so it counts. 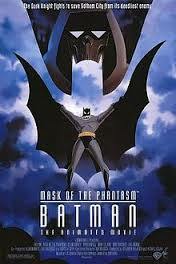 It’s no secret that I’m a fan of the Dark Knight and this movie is essentially Batman Begins before Batman Begins. Coinciding with the critically acclaimed animated series that was my favorite of the 90’s, this film is so good it makes me wonder why they didn’t just use the script for a live-action movie. Favorite Moment: Any scene with Mark Hamill’s Joker. 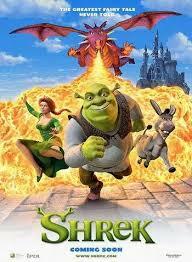 Arguably the best third film in any film trilogy. If the final minutes don’t make you tear up just a bit, then you might not have a soul. Favorite Moment: Ken models his wardrobe for Barbie. A modern classic and one of the best musicals in existence. It also just happens to have some pretty good laughs too, not to mention one of the best and most hated Disney villains. Favorite Moment: Apparently no one does anything as well as Gaston. An absolute classic for anyone who has ever played a video game and one of the best 3D experiences I’ve ever had. Several times it felt like I could grab a controller and start playing with the characters in the movie. 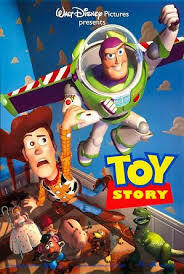 Even better, the film has a great story with a ton of heart. Favorite Moment: The Mario Kart-like final race between all of the characters in Sugar Rush. This may be too-high to some, but with my love for all things super heroic, this is no surprise. 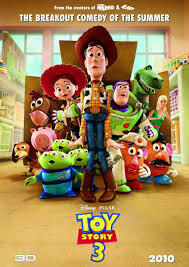 A film that boasts a great soundtrack with tons of fun, original characters, this movie is everything that makes superheroes awesome coupled with a great family theme. 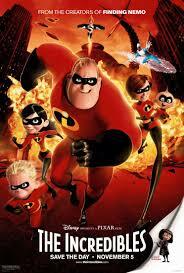 Favorite Moment: Superhero costume designer Edna tells Mr. Incredible why she doesn’t approve of capes. The classic of classics. 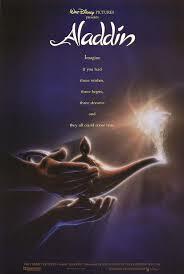 I saw this movie six times in theaters as a kid. Every character is great. Every joke makes you laugh. Every song makes you want to sing. And Scar is one of the best villains of all time. 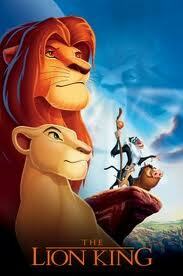 Mufasa’s death is still the “Bambi’s mother gets shot” moment for anyone born after 1985. Simply put, no movie on this list is as timeless as the Lion King. (It also looks incredible in 3D). Favorite Moment: Two words… Hakuna Matata. Just when you think you’ve seen enough episodes of Law & Order to figure out any thriller before you’ve finished watching the trailer, along comes Prisoners. A good thriller can be more captivating than any horror movie or action film if done correctly. Why? Because they provide us with a sense of realism that the other genres can often lack. There is something about the abduction of two little girls and their fathers doing whatever it takes to find them that infatuates us to our very core, even if we have no children or siblings. The ability to put ourselves in the same position as the characters on screen makes every eerie, suspenseful, and frightening moment feel that much tenser. 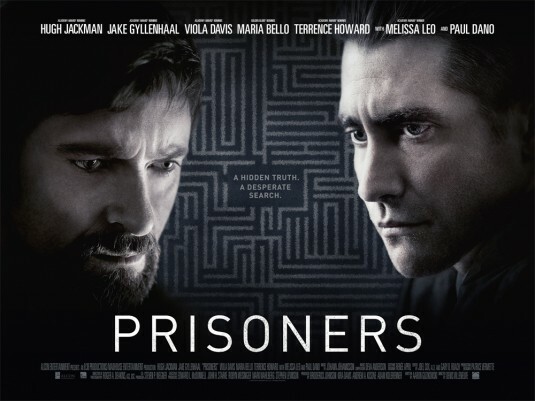 In Prisoners performances are key. Hugh Jackman and Terrance Howard serve as the fathers of the two children abducted on Thanksgiving Day. They represent every spectrum of human emotion under such nightmarish circumstances. Jackman is sensational as Keller Dover, who takes matters into his own hands when the frustratingly lethargic police can no longer lawfully hold the primary suspect. At times he seems as evil as the abductors themselves, but with each desperate action he takes, he makes us wonder if we wouldn’t react the same way. Viola Davis and Maria Bello are equally powerful as the girls’ mothers. They bring the sheer grief, desperation, and unrelenting hope that any mother would have in such a situation. Perhaps the strongest performance, however, comes from Jake Gyllenhaal who stars as the detective solely responsible for solving the case. When he is annoyed with the lack of assistance from his colleagues, we as an audience are annoyed. When he feels pressure from Jackman’s angry Keller Dover, we feel pressure. And when he is fiercely frustrated, we feel every bit of it. We want him to be the hero, because with each second he is on the screen he is as invested with navigating this intricate maze of a crime as we are. If there is a flaw to be found with the film, it is mainly in its length. At roughly three hours with previews it can feel slow at times. Perhaps the movie could’ve done without one or two curveballs. I also often wondered why Gyllenhaal’s Detective Loki was such a loner on such an important case. But in the age of countless television crime dramas, when we think we’ve seen it all, if a movie can provide you with an emotionally entrapping riddle that you can’t solve even when it’s right in front of you, it is without a doubt worth your time and effort. Let me first start off by saying that all kung fu movies are niche films. So if you can’t or won’t read subtitles, then stop reading this review now, because this movie isn’t for you. 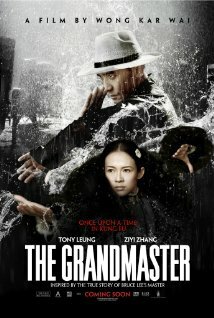 For those who don’t mind foreign films then, for your reading pleasure, here is my review of Wong Kar-wai’s martial arts film The Grandmaster. The film chronicles the life of Ip Man (the man famously known for training THE Bruce Lee) in 1930s Foshan, China. 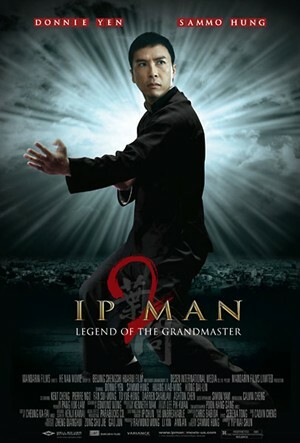 Ip Man is the fighter of fighters. He rarely gets challenged or even hit in a fight whether it’s against one man or an army. He is played sturdily by Tony Leung Chiu-Wai, who affectively illustrates both Ip Man’s humble and tenacious nature. The movie spans nearly twenty years of Ip’s life, examining his highs and lows and occasionally delving into the life of his friend Gong Er, the only person in the entire movie who remotely challenges him. She is played by familiar face Zhang Ziyi (aka the villainess from Rush Hour 2). I have to admit that I couldn’t help but be biased while watching this film, because I’ve already seen two films about Ip Man (Wilson Yip’s Ip Man and Ip Man 2, both on Netflix). Both of those films were outstanding and at times The Grandmaster felt like an overly poetic remake. Some cinematography is downright stunning, specifically one of the final scenes where Ziyi’s Gong Er reminisces on learning martial arts from her father in the snow. 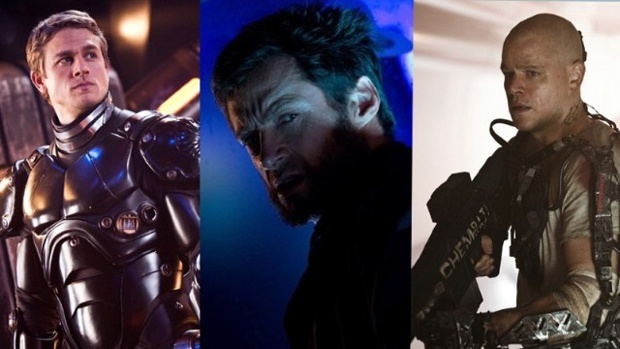 Unfortunately, the majority of the film feel’s overdone and too artistic for its own good. Too many times we are detracted from excellent fight choreography with unnecessary close-ups and excessive slow motion. The opening fight scene between Ip and an army of men would’ve been jaw dropping if the audience could effectively see through the ridiculous downpour of rain. From a narrative standpoint, the movie also struggles. In two hours, the story covers twenty years of Ip’s life but at no point is there a sense of plot or direction. There is no real antagonist (as there is in Wilson Yip’s versions) and the film coasts through Ip’s most challenging times, during the 1937 Japanese Invasion of China, with montages and title cards. In the end, we’re left highly underwhelmed and left with a lack of understanding for both the movie and its primary character. It isn’t bad at all. It’s probably pretty good if you go in with no familiarity with the story, but in my humble opinion, you’d be better served watching Wilson Yip’s films instead. There always seems to be a certain charm about Mob movies. The lingo. The sense of camaraderie. The style. All captivating elements of the genre that have made films like The Godfather and Goodfellas classics. The Family seeks to take these elements and mix them with a dose of comedy. The film’s premise is simple enough. Robert De Niro (who plays the mobster role a little too well if you ask me) and his Brooklyn born, Italian family move to Normandy under the witness protection program. There, his family struggles to assimilate to both normal non-mob life as well as with living amongst French culture. Michele Pfeiffer stars as De Niro’s equally temperamental wife. Diana Agron and John D’Leo play their savvy and tough children. Tommy Lee-Jones appears as the FBI agent entrusted with keeping an eye on the family. As a comedy, the movie somewhat falls flat. There are a few chuckles here and there, but nothing that makes you think twice (Most of it can be found in the trailers). The funniest moment is probably the clever little shout out given to De Niro’s previous mob-film, Goodfellas. Ironically, though, Goodfellas is probably the funnier of the two movies. Sadly enough, the movie also fails to deliver as a crime film. It’s paced a bit too slow for a film with an ending that is predictably inevitable (I found myself checking my watch several times). And while the cast is likable, each has at least one moment where their character makes a head-scratchigly dumb mistake. Why throw a barbecue and invite the entire town when you’re supposed to be lying low? And shouldn’t you have an alibi before you set up shop in a new town to avoid people asking avoidable questions? Also, at some point, it would’ve been nice to know what De Niro’s Giovanni Maznoni had done to put the family in danger in the first place. There were so many unanswered questions and yet there were plenty of opportunities to answer them. All of these problems might’ve been forgivable if there were more laughs outside of the first twenty minutes. An ending in which none of the main characters seems to learn any kind of lesson or experience any personal growth doesn’t help either. Happy Saturday good people. 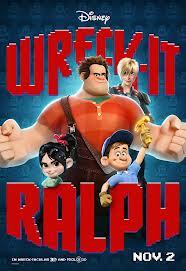 Here’s the last of my 2013 summer movie snippet reviews. Some of these are still in theaters and others will be in Redbox soon so I suggest you all check them out! There are certain topics that will always, theoretically, make for good films. History is one of those topics. Simply put; the human race, our ups, downs, trials and tribulations, make for compelling stories. But, while it is fairly difficult for a movie based on historical events to be bad, it certainly isn’t impossible. And this is why it is necessary to review movies of this nature and not make it a foregone conclusion that they’ll be excellent films. Which brings us to the topic of today’s review; Lee Daniels’ The Butler (By the way, is there a reason why Lee Daniels was so adamant about putting his name in the title? Anyway… that’s neither here nor there… on to the review). For those rare historically based films that don’t work, it is usually because the film fails to strike the correct chord between characterization and the actual historical event (see Pearl Harbor). The Butler manages to avoid this problem by giving us a perspective of the civil rights era that we haven’t experienced; that of the “subservient black”. For those who might not understand going into the movie, this perspective is significant, because it is historically looked upon as a traitorous role in black history and society. The Butler seeks more than to debunk this ideal, but to provide insight into the pivotal role it played in the civil rights movement. The film, which takes place over several decades, follows the life of Cecil Gaines, a black man who works his way up to becoming one of the hired servants of the White House. Throughout his tenure he indirectly plays witness to some of the most powerful moments in American history, but it is his relationship with his family and how they deal with those events that allows us to recognize the impact of each controversial moment. We witness sit-ins, the assassination of Martin Luther King Jr. and John F. Kennedy, the plight of the Klu Klux Klan, the Vietnam War, and the formation of the Black Panther party. But without Cecil’s unique perspective we’d be left with something informative and interesting, but not memorable. The film has some flaws. It gets a bit long in the tooth and some of the shots made me feel like I was watching a TV movie. Also, there is such a thing called over the top ensemble casting (David Banner and Mariah Carey????). But these flaws can be forgiven by dynamic performances elsewhere. Forest Whitaker, Oprah Winfrey, and David Oyelowo are all incredible. James Marsden and John Cusack’s spot-on impressions of Kennedy and Nixon are also noteworthy. These portrayals mesh nicely to provide us with history through the eyes of the many different people who shaped it. In the end, the most important factor of historical films is to affectively present a message. 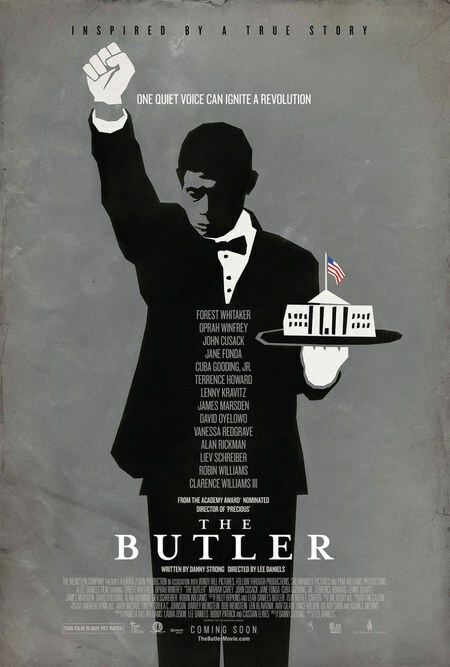 And, despite a few aesthetic imperfections, the message of The Butler is without a doubt one that everyone who calls themselves an American should experience and understand.